Clean Eating Tips for Beginners who want to eat healthier. What is clean eating? Basically, clean eating means eating whole foods like fruits, vegetables, whole grains, beans, etc. You eat ‘real’ foods, and no packaged or processed foods you can buy in the grocery store. The concept is super simple in theory, but not always easy in practice. Shop the perimeter of the grocery store. This is where you are going to find the fresh fruits and vegetables, frozen fruits and vegetables, whole grain breads, lean meats, etc. The items in aisles tend to be full of packaged junk, or junk masquerading as healthy; like granola bars or cereals. Always think Whole Wheat/Whole Grains. When you buy bread or pasta, always by the whole wheat option. It has much higher nutritional value, especially in the fiber department. Fiber is very important to a healthy diet but isn’t always considered when making food choices, even though it should be at the top of the list. Fresh/Frozen/Canned? The answer is… any of the above. While some people believe that fresh is always best, that’s not always the case, and it’s not always a possibility, especially since frozen and canned fruit and veggies can be much easier to fit in your budget. Just remember to rinse your canned fruits and veggies to get rid of excess salts and sugars, and make sure you are eating a good variety. Learn to cook and bake. This is the best, and cheapest, way to eat clean. You’ll know what’s going into your food, you can control your portions, and you can swap ingredients for healthier substitutes. There are lots of trendy vegan/vegetarian restaurants that do offer healthy choices but that will get expensive after awhile. You have to be willing to learn – and sometimes fail. While trying to find cleaner recipes I ended up throwing out a lot of stuff unfortunately, but in the end it’s worth it. Then again, I am a super picky eater! Find the deals. You are going to want to shop for fruits and vegetables that are currently in season, because they will be cheap and frequently on sale. Make sure to watch for sales and look through flyers to find the best deals. Start shopping at bulk food stores for things like beans, coconut oil, flax meal, and other staples. Clean You Cupboards. 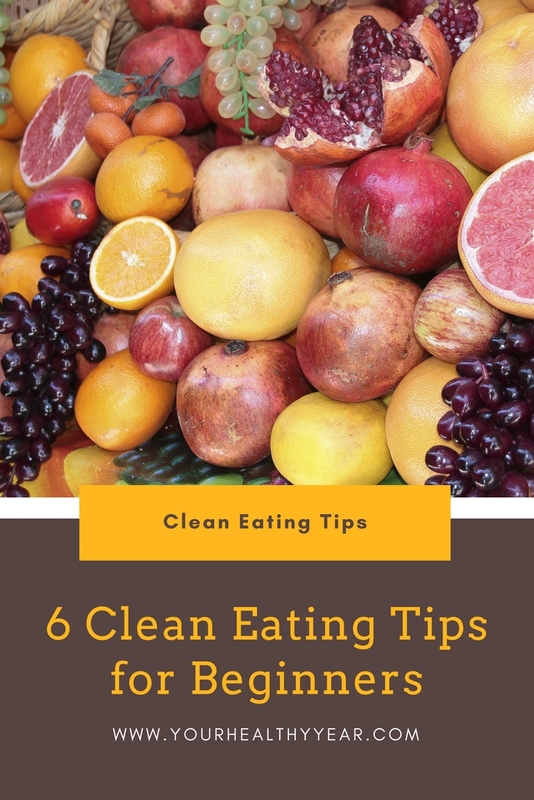 If you really want to commit to eating clean, you are going to want to get rid of the processed and pre-packaged items that are currently in your cupboards. Things like granola bars, cookies, cereals, etc. can be a treat once in awhile, but if you feel like you don’t have the self-control to only eat one and leave it at that, don’t keep it in the house. To make things easy, make sure you keep your fridge stocked with fruits and vegetables. Meal prep is going to be key to your success too. Make sure fruits and veggies are washed and ready to go so you can grab them when you get hungry. Keep carrots, celery, cucumbers, etc. cut up so you can eat that instead of grabbing a donut. The key thing to remember is; lots of fruits and veggies, lots of whole grains, and a little bit of lean meats. Just start small! 🙂 Take out one thing a time, give your self time to adjust, and take out something else! If you try and take it all out at once, you might find yourself having a really hard time replacing all the items you stopped eating!